Original Classic Fox 40 Whistle. $5.99. "Exactly as advertised. Shipment was prompt"
The whistles are exactly as advertised. Shipment was prompt arriving via USPS the next day. The invoiced was signed by the shipper with a hand written thank you. As needs arise I will use Gun Dog Supply again. 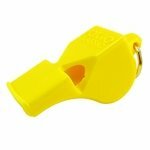 "Probably the best whistle out there"
Probably the best whistle out there when you need to get your dog's attention under abnormal conditions, such as high wind or near highways, etc. "Produces right volume for training and hunting"
Very easy to blow. Produces right volume for training and hunting. A lot of whistles seem like work to blow. Not so with the fox. Excellent in quality, and an effective tool for training and hunting. "Fox 40 classic and mini are what my dog responds to the best." Tried 6 other whistles without success. Fox 40 classic and mini are what my dog responds to the best.Won't be without one. "Your descriptions of your various whistles allowed me to pick out a whistle that produces a sound so like my own"
At 76, the last addition to my lower dentures did in my ability to let loose my lifelong signature (two-finger) whistle, which has always signaled to my dogs--and my kids--that I was issuing an order, not asking a favor. And whistling the way one would to whistle a melody didn't even get my dog Shine to lift an ear. Obvious solution? Buy a whistle that would allow me to duplicate the sound of my two-fingered command. Secondary problem? You can't know the sound of a whistle by looking at it, and the folks in stores are not at all understanding when you ask to test their stock. Final solution? Gun Dog Supply. Your descriptions of your various whistles allowed me to pick out a whistle that produces a sound so like my own that Shine, a good two-hundred yards away from me and busy with his sniffing, immediately straightened up and came to me at a dead run. Boy, did that feel good! "Good whistle for quite right next to you, and great at 400 yds." Good whistle for quite right next to you, and great at 400 yds. Love it!!! Works great, better than any other whistle. 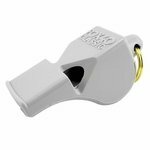 "Best whistle I have used." Best whistle I have used. "They have excellent tone for intermediate, as well as long range." They have excellent tone for intermediate, as well as long range. I guess I must love the 40, since I have 6 just to make sure they are in every place I might need one. They're the only whistle we use. "Within 2 hours my order went from being placed online to being shipped out"
I love how I had several color to chose from, and within 2 hours my order went from being placed online to being shipped out. "Great whistle for working in & out of the water"
Great whistle for working in & out of the water. The pea-less design ensures it will blow every-time. I was able to blow this whistle with a good range of volume from a soft tweet to a loud blast. Very powerful whistle. Gets my dog's attention in very strong winds at long distances. As a teacher, my wife used it to get students attention. If it works on today's teenagers!?!?! "I use this whistle more than any other whistle while duck and goose hunting." I use this whistle more than any other whistle while duck and goose hunting. Its load, it's small and its pea less design make it a perfect fit for my lanyard in the field. "I've tried a couple different whistles and the fox 40 has been the best by far." I've tried a couple different whistles and the fox 40 has been the best by far. "I love the Fox. It's loud and clear." I love the Fox. It's loud and clear. Loud and easy to blow. My dog responds to it immediately. works great, very loud. whistle training is going great. thanks again! The Fox 40 has a great sound and quality feel to it. Very loud, and easy to use. Great buy. Great range. Cuts Thru wind really well. "Loved them but lost them..."
"So far it makes noise like it's supposed to!" So far it makes noise like it's supposed to! 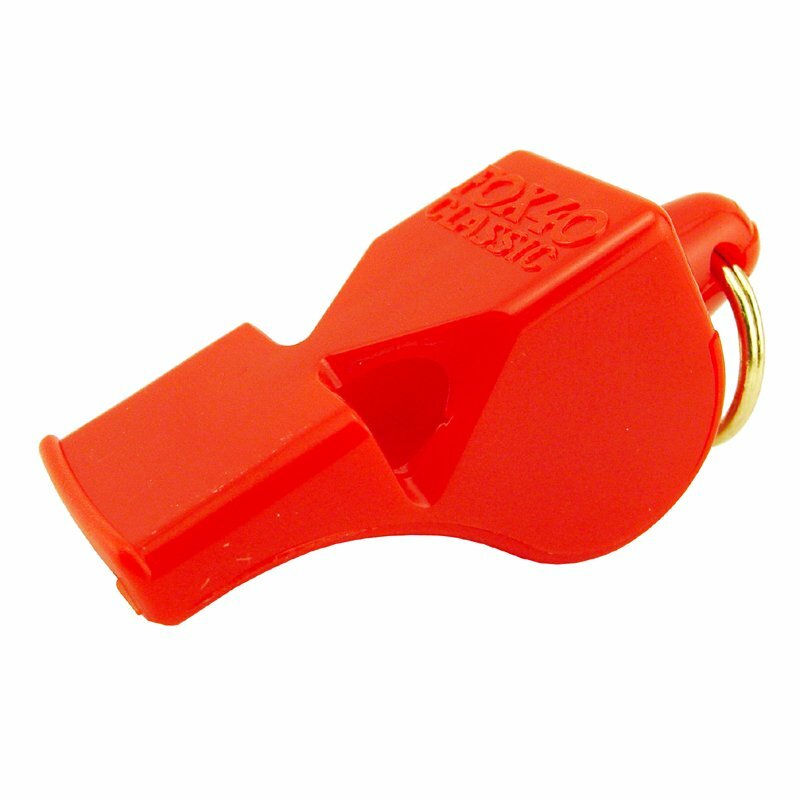 "This is the whistle my trainer recommended"
This is the whistle my trainer recommended. I like the whistle overall. It is loud and seems to work well at various volumes. I'm confident it will last because there is really nothing to break or degrade. Whistle works great. I love it. "Love that it is loud enough for my dog to hear in the field"
Love that it is loud enough for my dog to hear in the field. Great whistle. No pea to freeze... Very loud. Good product. I'm very happy! Golden Retriever. Hunts. Family pet. Competes. 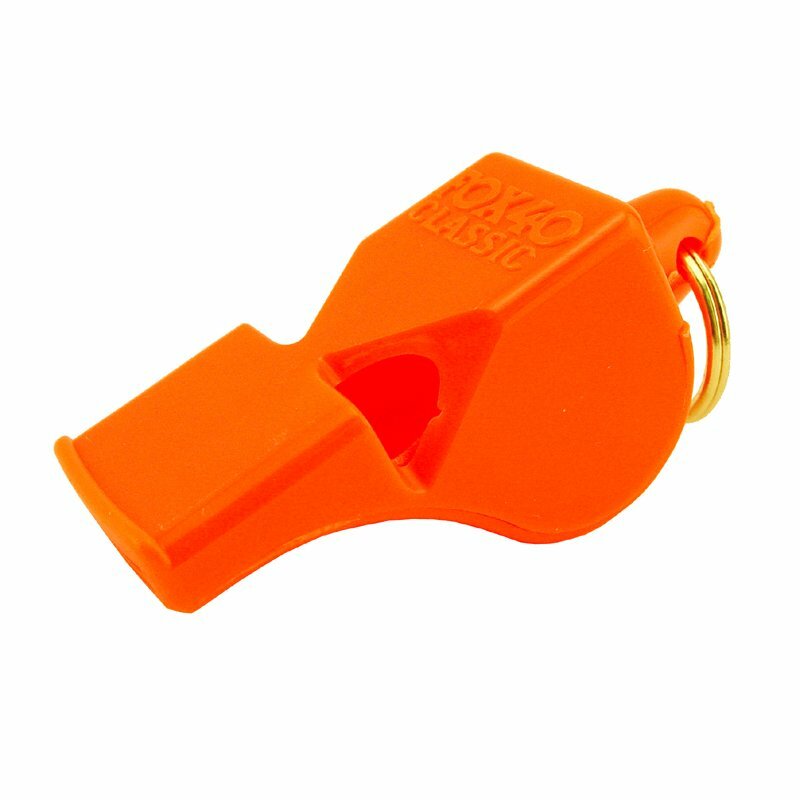 Good loud whistle. High pitch carries long distance. "Millie is as deaf as a post to voice commands, but this whistle gets her attention." Millie is as deaf as a post to voice commands, but this whistle gets her attention. 'nuff said. "Couldn't believe how fast this came." Couldn't believe how fast this came. Great whistle! Dogs have no trouble hearing it even in high wind days. "This is the one to use for working, hunting dogs." Can't find a better call. This is the one to use for working, hunting dogs. "Warning: You need ear protection!" Warning: You need ear protection! How loud it is surprised me. "I've only ever used Fox whistles." I've only ever used Fox whistles. Can be heard for miles. The sound carries well. The trill is a bit much. Perhaps this is due to using a whistle without the pea for so many years. "This has a great sound and is pealess, so works when it is cold and wet." This has a great sound and is pealess, so works when it is cold and wet. Very effective, but I preferred the smaller Fox 40. "My husband thinks it's fine"
My husband thinks it's fine. I'm apparently not a big enough blowhard - I have trouble making it sound loud enough to carry past the door. This whistle has good volume and a deep tone. It works well for the one blast to get the dog to sit. It is hard to tweet with it so it doesn't work the best for recalls.The more shrill whistle I have works better for that application. "Fox40 is ok but not as loud or shrill." Still prefer the old style cork pea type whistle. Fox40 is ok but not as loud or shrill. "I preferred the Acme Tornado Whistle #623." I preferred the Acme Tornado Whistle #623. Designed not to stick when wet or over blown and can be heard over long distances. Recommended for dog training, Fox 40 Classic Whistles are ultra shrill, intense, and penetrating. They are pealess whistles designed to NOT STICK when wet or overblown, and to be heard over long distances. They can be heard above all kinds of noise, including breaking waves and thundering gale-force winds. The Fox 40 Classic's chambers are designed to self-clear when submerged in water, and it has no moving parts to freeze or jam.